We had a GREAT time recently. We took Jude to Stepney Elementary School in a FIRE ENGINE! 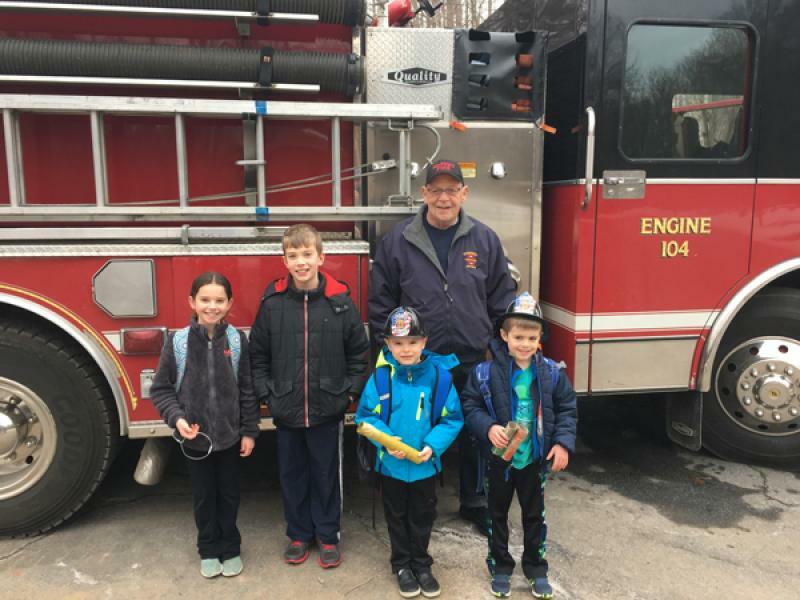 Jude, along with his dad, brother, sister and friend were picked up at their home and escorted to school aboard Engine 104. And, as they say, a good time was had by all!